Karina has been working in the real estate industry for 7 years and in that time has held positions across all facets of the industry including both Sales and Property Management. 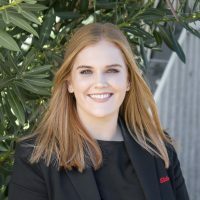 Karina’s most recent position was with the Real Estate Institute of WA where she provided membership services and training to over 200 real estate agencies across the southern zone of WA. Karina is a registered Sales Representative and is studying her Diploma in Property Services part time. Karina has a strong passion for the Real Estate industry which she is very excited to bring to the Elders team. Karina’s role covers Training, Compliance, Event Management and providing support to the WA network. Would you like to speak to Karina? If you’re thinking about renting or selling your property and you’d like a clearer picture of how much your property might be worth or want to have an informal chat about general property market trading conditions, Karina will be happy to arrange a full market appraisal of your property.